I'd like to introduce you to Plumen light bulbs, or, as they prefer to be known: the world's first designer energy saving light bulb! 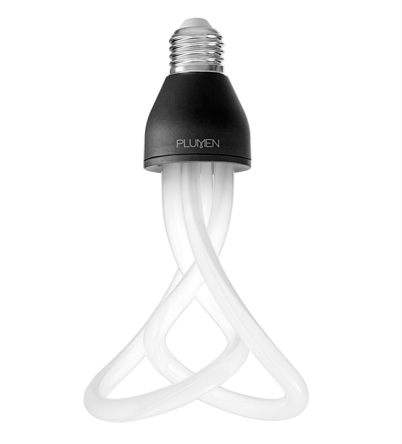 Plumen has sought to revolutionize the design of CFLs to provide consumers with a bulb that is functional and looks good at the same time. This is a bulb that is meant to stand out on its own- and not to be covered by a shade! The root word of Plumen, is plume, which is a bird's show feather, and is meant to draw attention to a bird's beauty. The design for these bulbs comes from that same ethos- the bulb will save you on your energy bills, while providing visual interest to your home. Already, I've heard some mixed reviews over the product. Some are wowed by the design, while others are disgruntled by a light bulb becoming a show piece. I personally believe that there is a time and place for everything- and in a urban minimalist setting, I would love to have one of these hanging from a pendant cord in a kitchen. 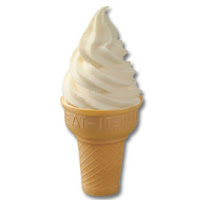 And for all we know, we could be looking at the future design for all light bulbs to come. 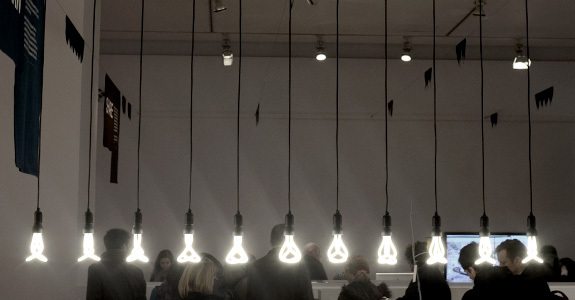 For more info on Plumen, and to purchase, check out Plumen's website.